I've been trying to exchange links with some friends and I realized too late that I sent them the wrong link for my other blog.. UH-OH! Don't be weirded out... it's really just in my nature to be astounded by "domestic" discoveries. I was introduced by a friend to "Thermal Cooking" and now I want one sooooo bad, I'm at a loss on how and where I can find a Thermal Cooker here in Dubai! I'll be starting to work soon and was considering buying a slow cooker so we can still have hearty meals at the end of the day, but I don't feel 100% secure leaving an appliance turned on the whole time we're out. 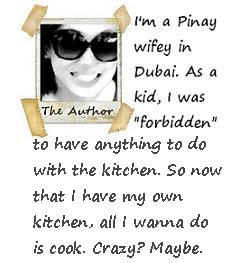 And so, my friend told me all about her Thermos Cooker. It works like a Crockpot or a Slow Cooker, WITHOUT ELECTRICITY! Amazing, isn't it? You just have to combine all ingredients and boil it for about 10-20 minutes, then transfer it to the Thermal Cooker, and it retains the heat and slow-cooks the food for you. One time, she said, out of curiosity, she opened hers after 4 hours and it was still simmering. You might have guessed it already... yessir, I'm a Cheese-lovah! 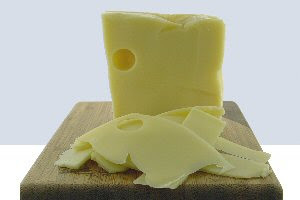 Emmentaler is a yellow, medium-hard cheese, with characteristic large holes. It has a piquant, but not very sharp, taste. As the cheese cures, the bacteria inside generate a great deal of carbon dioxide. The thick rind on the outside traps the gas inside, causing it to form distinctive large holes. Typically, the cheese is aged for at least four months, and often much longer. The cheese melts extraordinarily well, making it a popular choice for grilled sandwiches and baked dishes which include cheese. It can also be sliced and eaten plain, and is a popular inclusion on cheese plates. 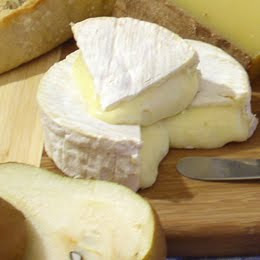 Brie and Camembert are both types of soft white cheese. 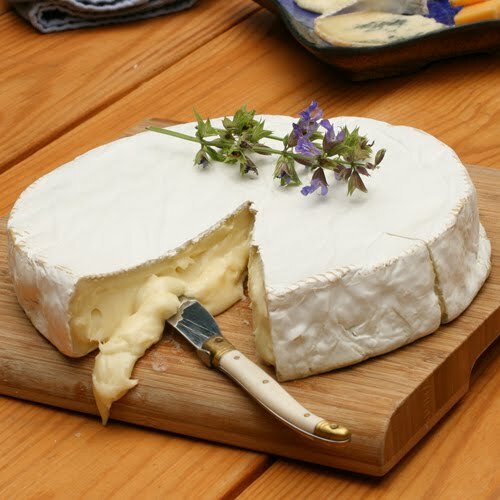 The process used to make Brie is very similar to that used for Camembert, but Brie is made in larger wheels, ranging from about 1 to 6 pounds (500g to 3kg) in weight, 9 to 15 inches in diameter and 1 to 1.5 inches in thickness, although it also can be found in 8-ounce disks. 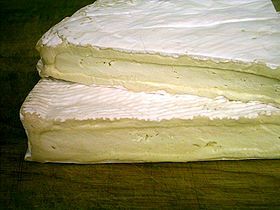 Camembert’s smaller size will affect it in several ways. It tends to age slightly more quickly, and the flavor of a true Camembert will be a little stronger than that of a true Brie. Gilles, a fromagier at Artisanal Premium Cheese in New York City, explains that, because of its smaller size, Camembert will lose moisture more quickly, which concentrates its flavor. Brie and Camembert are not for dieters (hence, the heavenly taste, haha!) ; both are high fat cheeses, which is part of what makes them taste good. Steven Jenkins describes the taste of a true, raw milk Brie or Camembert as “simultaneously fried-eggy, garlicky, nutty, truffle-like, and mushroomy” and adds that both will “melt on your tongue with a sensuous feel” that factory-made cheeses cannot hope to replicate. Removing the more desirable tip from a wedge of brie is known as "pointing the Brie" and is widely regarded as a serious social faux pas. I was craving for some Pinoy Barbecue so I made some as soon as I was able to buy some calamansi and Jufran Banana Ketchup. The only thing is, I "barbecued" it in a Turbo Broiler. 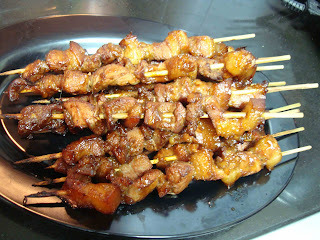 :P Good enough, it has that Pinoy barbecue marinade taste but without the smoky taste though huhu. (We're trying to avoid grilling on coals for health purposes). I'm so due for a visit to the parlor. I hate it when I look at the mirror and I see 3 grey hairs which spurted on my head on a very visible spot! What bothers me more is feeling that these 3 grey hairs just grew without standing for anything in my life's experiences or growth. It just grew while I lived my life on "Pause" for the past 2 years. Long explanation, but that's just the case. I got grey hairs and hubby has none. Hmmmp. The best SCRAMBLED EGGS I've ever eaten was in Sokos Hotel Torni in Finland. I was there with hubby for almost 2 weeks a couple of years back, and every day we had buffet breakfast with the most wonderful scrambled eggs... Perfectly fluffy, creamy/milky yet very light, almost bland yet it tastes perfectly yummm! Just pure dreamy, creamy goodness in every bite! 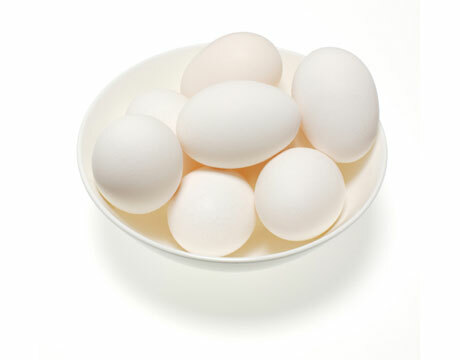 Ahhh, that was the best "eggs-perience" I've ever had so far and I was never successful in my attempts to replicate it. The slower you scramble them, the creamier eggs become. Remember that they'll continue to cook after you've removed them from heat.